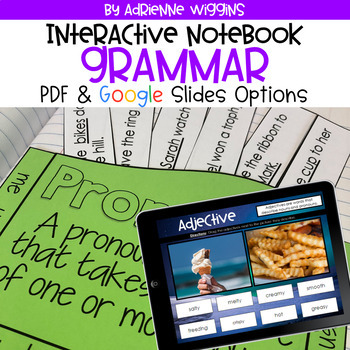 This item includes 23 activities for a grammar, reading, or language arts interactive notebook. 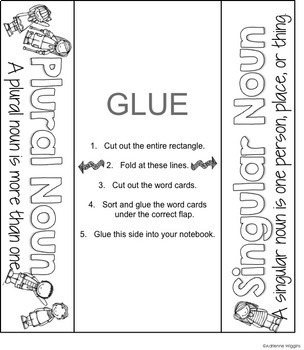 This product can be used for grades 2-5 with modifications. Download the free preview to view the type of activities included in this pack (not all activities are pictured). The idea of the activities in this pack is to get students more involved in their own learning by creating and having hands-on experiences. 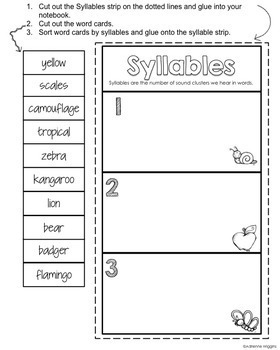 The activities have a quick explanation sentence to serve as basic notes for students' future reference. My third graders love notebooking! These interactive activities make perfect reinforcing mini-lessons and give the students a way to add creativity to what they are learning in class. 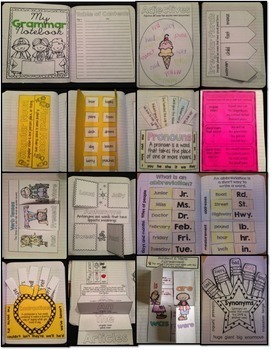 Interactive notebooks also serve as a scrapbook for learning that students remember making and can refer to throughout the year. These notebooks made end of year review for our state test a lot easier!